I've teamed up with some fabulous bloggers to give you a Valentine's treat. 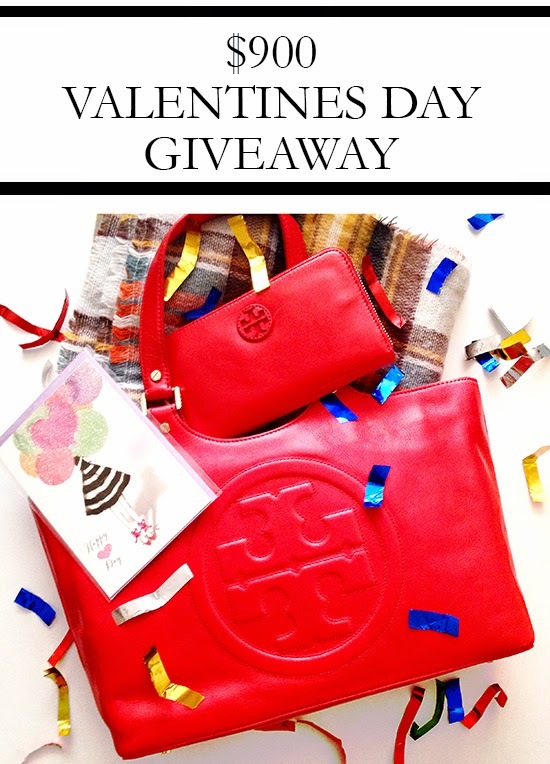 To win this Tory Burch Bombe Burch tote & matching wallet, Zara blanket scarf AND a $150 Visa gift card, valued at $900, enter below! Beautiful bag - hope I win!! Love this bag, hope I win!